"First of all I wish to thank you for being invited to write this article on my personal experience gained in more than 30 years of activity in the space telecommunications field, covering the major government programs conceived and realized in Italy. Starting around the end of the sixties, Italy has been active in space and has devoted its major effort towards the exploitation of the frequency bands above the 10 GHz to pave the way for the development of the technology and the systems needed to operate in these higher frequency bands." 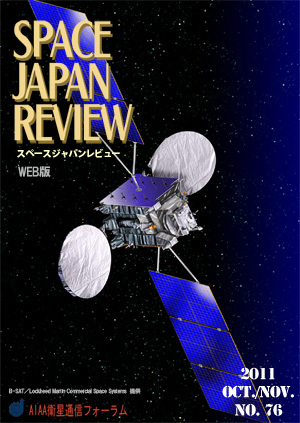 Research Management In this opinion column, it is intended to argue how to conduct research and development (R&D) on satellite communication, especially for national security. This is why we step forward in the 21st century of the chaos which was determined by the terrorist attacks to the U.S.A. on September 11, 2001, and in order to deal in a century of chaos, R&D of national security, especially satellite communications becomes particularly more and more important. On that occasion, an R&D methodology in general R&D as well as one of satellite communications is argued based on experience of the management of Communications Research Laboratory of the author's former job. Therefore, the content may be based on the author's own dogmatism and prejudice, but please forgive me because of an opinion column. Learned from Development of CS "Sakura, Cherry in English", blooming in the universe of "Showa"